Good news—we are officially living longer! However, an ageing population brings with it an increasing need to tailor specifically towards accessibility in the bathroom. At Ideal Standard, the Concept Freedom range is designed with not only independent living in mind, but also maintaining a stylish décor. 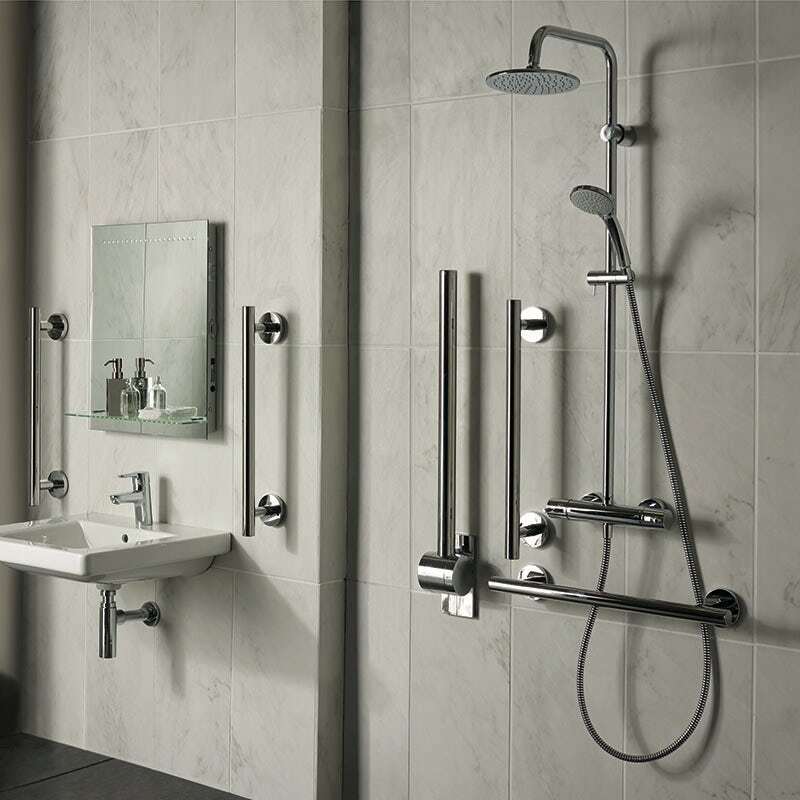 In this article, we’re going to be giving you some top tips for making your bathroom more accessible, whilst maintaining style. Grab and support rails are perfect for providing stability and that extra bit of support as you manoeuvre around a bathroom space. They can aid in a variety of ways, from getting in and out of the bath to helping you lower and rise from a seated position on the toilet. Stylish chrome grab rails can be sympathetically incorporated into any bathroom without imposing on the design and overall look of the room. The positioning of your grab rails needs to be very well thought out and thoroughly researched. In some cases, occupational health therapists can review the space and suggest the best places to install grab and support rails to benefit each individual. Bathing has always been a more complex element to tackle. Stylish support rails and a non-slip mat are a must. 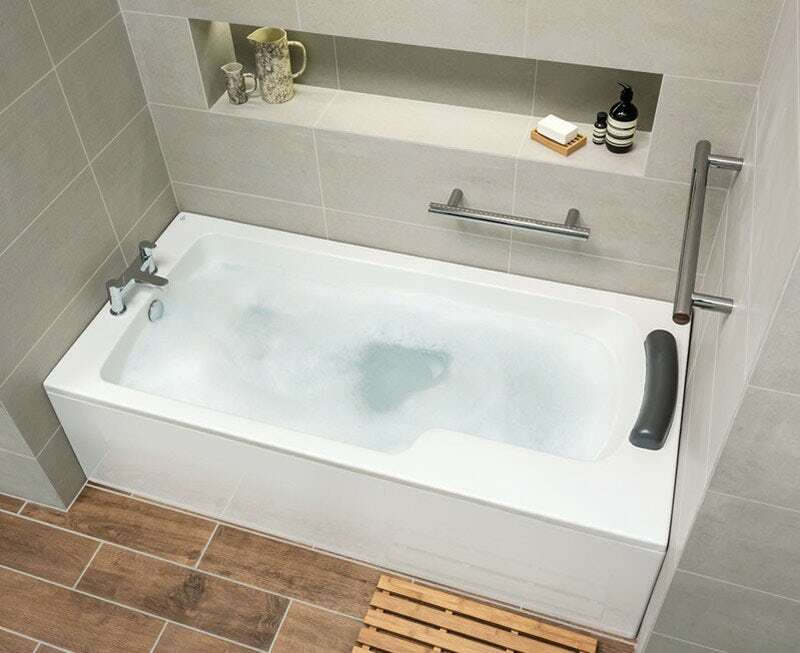 A platform on which to sit and lift legs over the side of the bath can make getting into the tub easier and tap controls should be mounted within reach when sitting in the bath. The Concept Freedom bath is designed to offer an alternative to the somewhat stigmatised requirement to replace a bath with a shower, just because a user has mobility issues. The thoughtful design has allowed for a reinforced ledge to give users a seat whilst getting in and out of the bath, a lowered height to allow for more control, as it’s nearer the floor, an inside step ledge for additional comfort and support when pushing out of the bath and a gel headrest with “shape memory” to comfortably support the users neck. Why not make the most of the décor revival of the wet room. It’s evident by looking at Pinterest for no more than 5 minutes that wet rooms can be desirably designed areas of our homes, and conveniently, can be easily adapted to be accessible for everyone. Shower seats and contemporary grab rails coordinated with shower fittings can add extra style as well as perform a vital function. Tiles or shower wall panels are a great way to add individuality to your space. From a totally tropical design to Subway style, so many looks can be achieved. 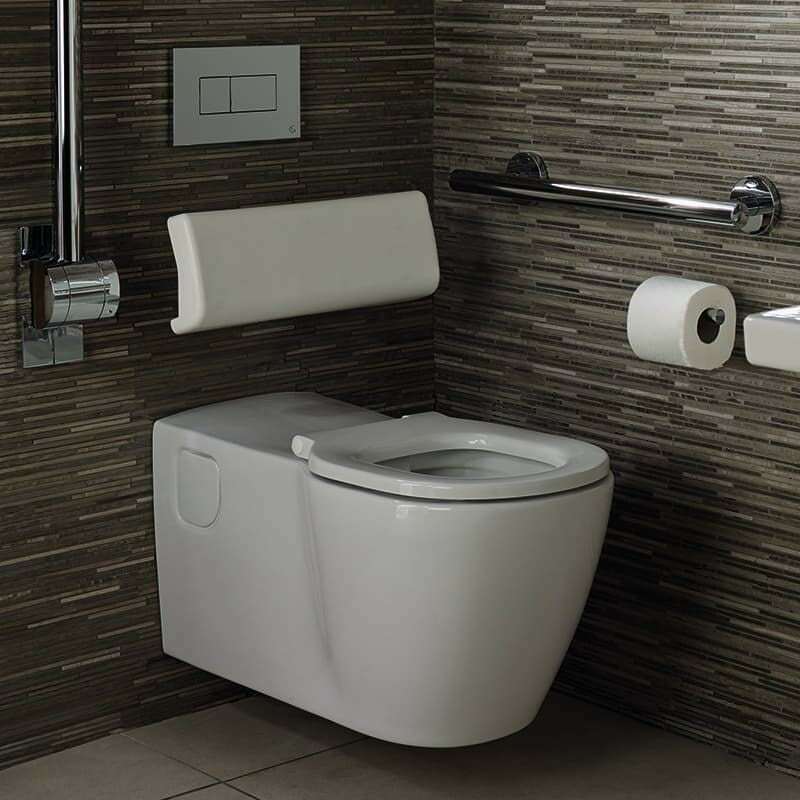 Wall mounted toilets and basins can be fixed at the desired height for your needs and not only provide an easy-to-use solution but also make the room feel larger and keep the floor space clear, handy for cleaning the floor easily too. The Concept Freedom comfort height wall hung toilet was developed with occupational therapists specifically with accessibility in mind. A raised bowl allows wheelchair users to access it easily and a soft close seat prevents any danger of the seat falling. Finishing touches in any bathroom are sometimes overlooked, yet can be the reason the space looks so stylish. Not only that, accessories positioned in the right place, can transform the whole experience for a user with mobility issues. Adding wall mounted accessories such as foldaway shower seats, soap dispensers, extendable mirrors, L shaped toilet roll holders and wall mounted toilet brush holders can all make the difference between a designed bathroom and a perfectly designed bathroom! If you’re looking to create a stylish, accessible bathroom, why not discover the Ideal Standard Concept Freedom collection for yourself? Whatever your situation, you’ll find plenty of ideas and inspiration for accessible bathrooms through our Independent Living hub. Why not head there now by clicking on the banner below? We asked Ideal Standard, the UK's No 1 bathroom brand, to give us their top tips on making the most of a small bathroom. With 120 years of manufacturing excellence under their belt, you can now purchase Ideal Standard bathrooms direct from VictoriaPlum.com. Discover more about the Ideal Standard collection and find out what sets Ideal Standard apart from other bathroom brands.